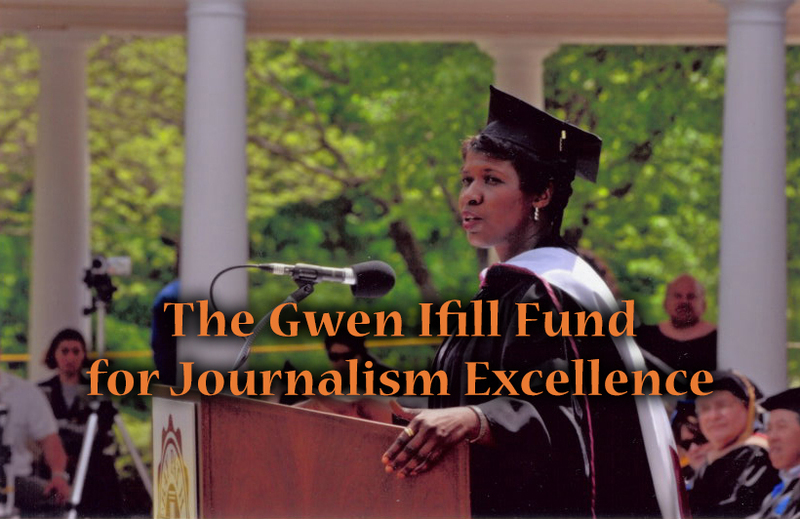 GWEN IFILL: Why, hello there. I’m back, just in time to watch Donald Trump clinch the nomination and Hillary Clinton fighting both Bernie Sanders and her own past. So, what did I miss? Tonight, on Washington Week. HOUSE SPEAKER PAUL RYAN (R-WI): (From video.) What I’m most concerned about is making sure that we actually have real party unity, not pretend party unity. MS. IFILL: Party unity: an elusive goal this year for both parties, as the presumptive GOP nominee takes shots at Republicans. DONALD TRUMP: (From video.) Your governor has got to do a better job. She’s not doing the job. Hey, maybe I’ll run for governor of New Mexico. MR. TRUMP: (From video.) She is a woman that’s been very ineffective, other than she’s got a big mouth. MS. IFILL: Hillary Clinton continues to fend off an energetic primary opponent. SENATOR BERNIE SANDERS (I-VT): (From video.) We are feeling increasingly optimistic about winning here in California. MS. IFILL: While taking on Donald Trump. FORMER SECRETARY OF STATE HILLARY CLINTON: (From video.) An unqualified loose cannon is within reach of the most powerful job in the world. MS. IFILL: And once again, defending how she handled her State Department emails. MRS. CLINTON: (From video.) It’s not an issue that is going to affect either the campaign or my presidency. MS. IFILL: Meanwhile, President Obama extends his legacy, becoming the first president to visit Hiroshima. History and hysteria, another week in politics and policy. Covering the week, Molly Ball, national political correspondent for The Atlantic; Josh Gerstein, senior White House correspondent for POLITICO; Doyle McManus, columnist for The Los Angeles Times; and Michael Scherer, Washington bureau chief for TIME Magazine. MS. IFILL: Good evening. It is so, so good to be back around the table. I have felt every single one of your good wishes while I’ve been away. Just know that I have missed you more than you’ve missed me. So tonight the question for me is this: What changed while I was gone? Molly, Josh, Mike and Doyle, you’re here to fill me in. And we’re going to start of course – how can we not? – with Donald Trump, who this week clinched the number of delegates needed to win the Republican nomination. He accepted this news with his customary modesty. MR. TRUMP: (From video.) Look, if I didn’t win by massive majorities, I wouldn’t be standing here talking to you today. MS. IFILL: Trump also offered to debate Bernie Sanders for $10 million, maybe $15 million, for charity. And he called Senator Elizabeth Warren “Pocahontas.” OK, Molly, explain the state of the race really slowly, clearly to someone who maybe has been away. MS. IFILL: Well, didn’t we just see, Michael, Paul Ryan talk about party unity, but we’re kind of waiting on him still? MICHAEL SCHERER: Right. So the leaders aren’t quite where the voters are in the Republican Party. And I think – if you talk to senior Democrats inside the campaign and outside the campaign now, they are looking at this race not to be the sort of blowout we thought it might be a month or two ago, when we really didn’t know if Trump was going to be able to bring together Republicans. This is going to be a race that probably won’t look too far from the 2012 race, where you have 90 percent of Democrats voting for Hillary Clinton no matter what, 90 percent of Republicans voting for Donald Trump no matter what, and then you have a fight over a very slim amount of swing voters, and then probably a bigger fight over this group of voters who don’t vote and whether you can get them to come out in certain states. And that means it’s going to be a long one. This isn’t – you know, Trump despite all his unconventionality, is going to be gifted a campaign landscape that looks actually very predictable. Now, the problem is that the story we in Washington and the senior ranks of the Republican Party has been telling themselves, and the senior ranks of the Democratic Party, for years now is that, if you have a race like that, the thing that will matter is demographics, and demographic change is on the side of Democrats, and if you re-run 2012 again in 2016 it’s actually going to be even more favorable to Democrats. And Trump either doesn’t see, doesn’t believe, is not interested in doing what he needs to do to deal with some of that change. MS. IFILL: In fact, the watch word that both of you used seems to be “fight.” The fight isn’t over. You may have the nomination. So, as a result, we have three candidates, each with a potentially debilitating problem. Donald Trump and Hillary Clinton are deeply disliked by the electorate at large, and Bernie Sanders does not have a mathematical path to his party’s nomination. Now, Trump’s response is to keep on firing. Here is a bit of what we were talking about, this week’s Elizabeth Warren-Donald Trump sideshow. MR. TRUMP: (From video.) She gets less done than anybody in the United States Senate. She gets nothing done, nothing passed. She’s got a big mouth. And that’s about it. MS. IFILL: “Big mouth.” OK, so, Josh – (chuckles) – what are we – what are we talking about here? What is his goal? And do the Democrats, like, have a plan, that if they all now turn their fire on Donald Trump – Elizabeth Warren who had been quiet pretty much up until now, Hillary Clinton who was very happy to talk about Donald Trump, and even Bernie Sanders this week, they weren’t talking about each other, they were talking about Trump. JOSH GERSTEIN: Yeah, I mean, they’re ready to move into the fall election, it seems. But the real question here, I think, is, you know, who is the best messenger for that message? And I think one of the problems for the Democrats is Hillary Clinton, who seems most likely to be their nominee at this point, doesn’t seem like she’s always the most effective messenger. When Warren took the stage, it seemed like she maybe did a more effective job, that she was able to deliver some blows, and she’s not damaged the way Clinton is. A lot of people around the country don’t know who she is. She’s a fresh face, and she comes to the table without the negatives that Hillary Clinton has built up over 20 years in public life. MS. IFILL: So is California still a turning point, Mr. L.A. Times? DOYLE MCMANUS: California is, amazingly enough, a kind of turning point. MS. IFILL: When was the last time that happened? MR. MCMANUS: With something, but Hillary Clinton will almost certainly come out of California with the 1,237. Have I got the right – the right number? No, that’s the Republican number. The Democrats, it’s a bigger number. MS. BALL: For the Democrats, I believe it’s 2,230. MR. MCMANUS: I forgot. I’ve had the Republican number in my head for so long. But the point is, Bernie Sanders is going to try and build a moral case to go to the convention and then to make his case to the superdelegates, whom he has been denouncing for the first half of the campaign. MS. IFILL: So let’s talk about the Sanders factor, or as this week’s cover of TIME asks, how far will Bernie go? What’s the answer, Michael? MR. SCHERER: Farther than you probably thought is the answer. And the reason is that Bernie, I think, even though he’s going to lose – I mean, it’s almost certain he’s going to lose. The idea that superdelegates are going to come to him after he’s been denouncing them for so long is not realistic. MS. IFILL: Seems a weird strategy. MR. SCHERER: He is playing a longer game. He’s playing for leverage within the party, and he’s playing to remake the party not just in this election cycle, but in election cycles going forward. And that involves some sort of a fight at the convention. We don’t yet know how rough it’s going to be, but he’s certainly threatening it will be a rough, messy fight. And it’ll also involve, if he wins California, being able to say to Hillary Clinton and the rest of the party establishment you’ve got your candidate at this time, but you’ve lost control of the voters of the Democratic Party, much like Republican leaders lost control of their voters with Donald Trump. MS. IFILL: Is his revolution over or is it just beginning, Bernie’s? MS. BALL: Well, I think it depends how he goes forward. I mean, on the one hand, the Sanders movement is clearly the manifestation of an upswelling of liberal sentiment within the Democratic Party that I think has been percolating for several years and that a lot of progressives welcome, even as it does unsettle the Democratic establishment and make the old centrist core uneasy. On the other hand, you know, Sanders’ credibility as a leader of that movement has – and how he decides to carry it forward is going to depend on the outcome this of campaign. MS. IFILL: Let me ask you something about something you had in your story this week, which is, Howard Dean dealt with this moment when he was a big deal among the liberal left in 2004, but the options ran out. How does that compare to how Bernie Sanders is handling this? MS. BALL: Well, and Howard Dean obviously knows Bernie Sanders well. They’re both from Vermont. Dean also endorsed Hillary Clinton early on this time. But he was the liberal insurgent candidate in 2004 and he was, for a time, the front-runner. And when he had lost several primaries and the sort of writing was on the wall and he made his last stand in Wisconsin, he told me he was – he was so mad, he was ranting and raving. And Al Gore, who had endorsed him, called him on the phone around midnight in Milwaukee, and Dean just went off about how unfair everything had been and how he’d been treated so badly, and why didn’t he just leave the party. And Gore said to him, you know, this is about the country; it’s not about you. And Howard Dean told me that was the moment that he decided to drop out, and he dropped out the next day. And what he said was he is not sure who there is who can say that to Bernie Sanders. MR. SCHERER: The other difference is that Howard Dean is a Democrat. He identifies as a Democrat. Bernie Sanders has never identified as a Democrat. He’s called himself one for about 10 months now, but he still doesn’t identify as a Democrat. He identifies as a progressive, and that’s a big shift there. And what Bernie is promising – the cudgel, the threat he has against Hillary – is this large group of voters who you’ve met at rallies, we’ve all met at rallies, who like Bernie Sanders but also don’t see themselves as Democrats. They see themselves as liberals sometimes. Sometimes they’re not even very ideological. They just want somebody to shake up the system and they like what he’s saying. MS. IFILL: And that’s a big difference from what happened with Hillary Clinton in 2008, as well. Let’s talk some more about these Democrats, because Hillary Clinton’s email server problem came back to haunt her again, as multiple investigations continue to roll out. But how much damage are they doing to her campaign? They never seem to go away. MR. GERSTEIN: Well, it does seem to be a zombie problem for her. MR. GERSTEIN: She keep thinking she’s put it down, and then it rears its head again. You know, I don’t know how much it does in terms of moving voters into her camp or back and forth between Trump or even between her and Sanders, but I do think it does play into what some voters’ main concerns are about Clinton and about her trustworthiness. There were a few points in this report that came out from the inspector general at the State Department that were particularly damaging. It undercut her main defense, which has been that this was allowed under State Department policies. The inspector general said that that was not the case. There was questions about whether people inside the department were trying to bottle up complaints about what she was doing with her email. It’s not clear that came from her people, the, you know, effort to bottle it up, but somebody in the department. And the biggest question, she didn’t cooperate and her top aides didn’t cooperate with this investigation, which when you’re saying you’re being totally transparent and more forthcoming than anyone it seems a little odd to just rebuff the investigators completely. MS. IFILL: And there is still an FBI investigation hanging fire. MR. GERSTEIN: There’s still an FBI investigation. We don’t think there will be criminal charges out of that, but if there were that would be far, far more serious than anything that would have come out of this IG report. Still to come this summer or fall, the Benghazi report from the House committee that’s working on it. MS. IFILL: There’s another one? MR. GERSTEIN: So, you know – yes, the one from the testimony she gave almost a year ago now is still forthcoming, and then a whole bunch of lawsuits and depositions for her top – her top aides, as well as possibly her. So there’s sort of numerous opportunities for this to rear its head on her once again, or maybe three or four times again. MS. IFILL: Well, it didn’t make a distinction between the server and the private email address, either. MR. MCMANUS: Right, but it was basically a full-throated defense. If you had read it without knowing the circumstances, you would have thought they were claiming victory and vindication. And they actually later issued a kind of revised set of tweets that said, oh, yeah, she has admitted that that was a mistake. MS. IFILL: Just for the heck of it, apparently. MS. BALL: Just for the heck of it, why not? And what he says is, it’s always a mess with Hillary. So there’s – so she gets surrounded by this cloud of scandal and tainted by that regardless of any of the particulars. MS. IFILL: It’s how she did it. MR. SCHERER: Yeah. And not just that, it’s that she has yet to say that. She refuses to admit the obvious thing, that the reason she did this is she didn’t want her personal business to ever be made public. She says it was about convenience. It wasn’t about convenience. This isn’t about convenience. It was about something else. And it’s that kind of – that carefulness that makes it that she loses credibility, and I think that probably hurts her in other areas. MR. GERSTEIN: And that’s an email that she neglected to turn over to the State Department and they found from one of her other aides. So almost every fact that comes out has these layers to it that go to, well, are there other, are there more, is there more evidence? And it really makes you feel like the cloud is something that you simply can’t dissipate – not before the election, anyway. MS. IFILL: Well, we’ll be back on it again, then. Well, even President Obama, who is traveling way across the Pacific in Vietnam and Japan, was asked what world leaders think of Trump. PRESIDENT BARACK OBAMA: (From video.) And for good reason, because a lot of the proposals that he’s made display either ignorance of world affairs or a cavalier attitude. MS. IFILL: He says they are rattled. But the president was in Japan to make history. That’s what he did when he became the first U.S. president today to visit Hiroshima since the atomic bomb was dropped that ended World War II. He said it doesn’t have to happen again. PRESIDENT OBAMA: (From video.) We’re not bound by genetic code to repeat the mistakes of the past. We can learn. We can choose. We can tell our children a different story – one that describes a common humanity, one that makes war less likely and cruelty less easily accepted. MS. IFILL: This is the latest among the firsts the president has done in his travels around the world, places no other American president has been. But was this the Asia pivot we were waiting on? And why wasn’t there an apology, which some people expected? MR. MCMANUS: Well, let’s take the apology first. No, there wasn’t an apology because an apology would have been politically an absolute flashpoint. It’s not clear whether the president really believes or not that the United States owes an apology. He did deliver condolences to the survivors. And there was some very graceful, exquisitely balanced, careful language in this speech where he expressed his condolences to all the innocents who died in all of World War II; in other words, all of the victims. So he tried to universalize this. And then the other thing he did with this speech was, in a sense, it was a bookend to the nuclear disarmament crusade he’s been on since his very first year. And so he talked about a shared responsibility, a moral responsibility to keep moving on nuclear. As for the Asia pivot, you know, that’s been a long, slow, agonizing. MR. MCMANUS: The first years of it didn’t really show very much. In a sense, yes. In that sense, in a way, the president’s visit to Vietnam earlier in the week was maybe the bigger deal than Hiroshima. MR. MCMANUS: The relationship with Vietnam has been growing very slowly. It’s not Barack Obama who normalized relations; that was actually Bill Clinton. But it’s accelerated enormously in the last couple of years, for two reasons: economics and China. China is throwing its weight around in the South China Sea. Vietnam needs an ally. Vietnam, other Asian countries want the United States there, and are pulling very hard. This was a way for President Obama to respond to that. The problem is, the big deal there isn’t lifting the arms embargo that he announced, because that’s going to be fairly minor. The Vietnamese don’t really need a lot of American weapons. The big deal would be the Trans-Pacific Partnership, the big trade deal that President Obama and his people have spent years negotiating and that all of the remaining three presidential candidates have said they don’t like. MR. SCHERER: I’ve been struck, having gone on a lot of the initial trips Obama did in 2009 when he first took office, and there was this optimism around the world and these rather beautiful speeches he was giving and real high ambitions about nuclear disarmament. And he’s still giving great speeches, and yet, at the end of his term we’re looking back on it and you kind of see the limits of how far that can go. He went to Vietnam. He wowed the Vietnamese people, you know, cheering in the streets, the whole thing. But will he get the TPP vote, you know, in the lame duck? We don’t know. And will China back down the nuclear disarmament goals he set out for himself? There have been some victories, but it hasn’t really been a transformation. We’re not in a radically different place than we were when he took office eight years ago. MR. MCMANUS: No, that’s right. And on nuclear disarmament, the big –the big accomplishment would have been another agreement with Russia, which still has with us the biggest arsenal. And Vladimir Putin basically put an end to that. MR. GERSTEIN: And I’m struck that you have to look at this Asia issue within the broader legacy of his foreign policy overall. So you look at Syria. It remains a complete mess. You look at the campaign against ISIL, which remains very chaotic, metastasizing into different, you know, parts of the world. And even – as Michael was saying, even in Asia he has begun to try to put pressure on the Chinese, but I think we’ve yet to see it moderate or change their behavior. So it seems very hard to understand how, by the end of the president’s term in seven months or so, he’s going to leave anything except for a very muddled and uneven legacy in the whole area of foreign policy. MS. IFILL: Well, I call this kind of the open wounds tour, where along the way he’s – remarkably, he stood next to the Japanese president, who scolded him for a local case involving an American soldier. And the president basically apologized for that. He went to Vietnam, and that was an unspoken apology – not apology, but an unspoken healing moment. And I wonder if that’s what a president does in the end, when there’s lame duck issues at home and you have to at least show up at the places that you say are important. So perhaps that’s what we are witnessing this week. OK. Well, thank you all for joining me for my big return. And I’ll – just keep in mind that also next week I’ll be sitting down with President Obama. It’s going to be a primetime PBS NewsHour Town Hall special. That’s this Wednesday from Elkhart, Indiana. You can check your local listings for the time. We are going to chat a little bit more on the Washington Week Webcast Extra. You can find that at PBS.org/WashingtonWeek. And on this Memorial Day weekend, enjoy your beach trips and your backyard barbecues, but also remember to take a moment to honor the memory of our fallen heroes. And we’ll see you next week on Washington Week. Good night. As Libertarians meet to pick their nominee for president, Gary Johnson seen as the likely candidate. 3 hours 43 sec ago.